Thrihnukagigur is a dormant volcano near Reykjavik within the Capital Region of Iceland, famous for its enormous magma chamber with a color splendour at an otherworldly scale. Visiting the volcano’s chamber is an incredible truly unique experience as this is the only place in the world where you can actually stand inside a volcano! How to Get to Thrihnukagigur? Thrihnukagigur is a dormant volcano near Reykjavik within the Capital Region of Iceland, famous for the unique, enormous magma chamber. 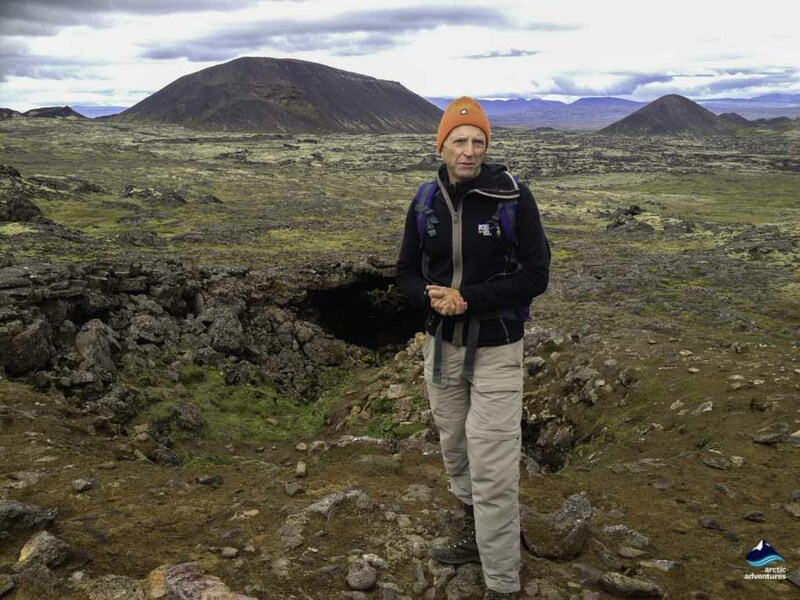 Its Icelandic name, Þríhnúkagígur, is quite hard to pronounce for non-Icelandic speakers and it sounds like “three-nuga-geegu.” The literal translation is three peaks crater. It actually describes one of many features about Thrihnukagigur. The dormant volcano has three craters, and visitors can descend into the magma chamber through one of them by an elevator. It’s the only volcano in the world that allows visitors to go into its magma chamber and experience an awe-inspiring journey to the center of the earth. The dormant volcano is located in the Blue Mountain Range (Bláfjöll in Icelandic) on the border between the Capital Area and the Southern Region. This area is a popular recreational hub for local outdoor lovers to go skiing, hiking, and caving. Going into the Thrihnukagigur volcano is, of course, the most fantastic experience of all. The unimaginable colors beneath the surface of the earth that are attached to a cave environment are simply beyond words. 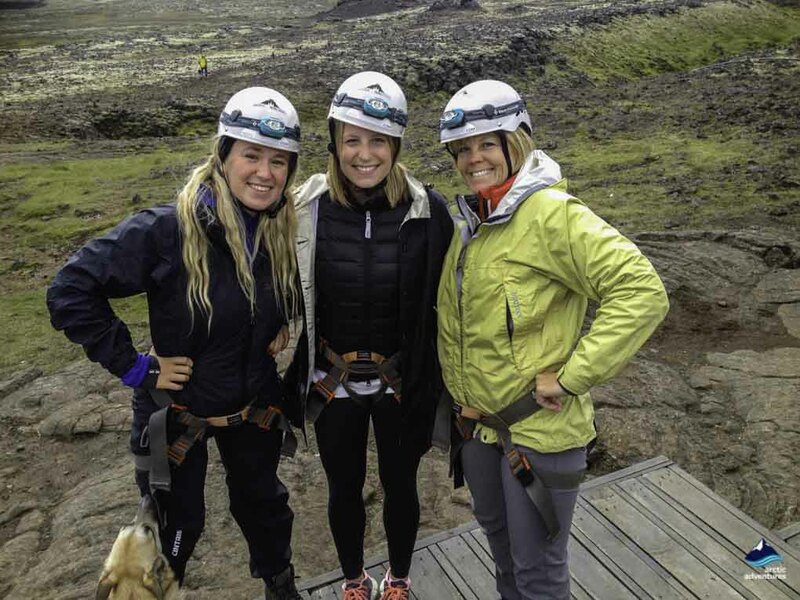 The unique experience of going into the Thrihnukagigur volcano usually starts at the Blue Mountain parking lot, a meeting point for self-drive travelers and visitors who were picked up from Reykjavik. It’s about a 20-minute drive from the capital via Route 1 and later Route 417. 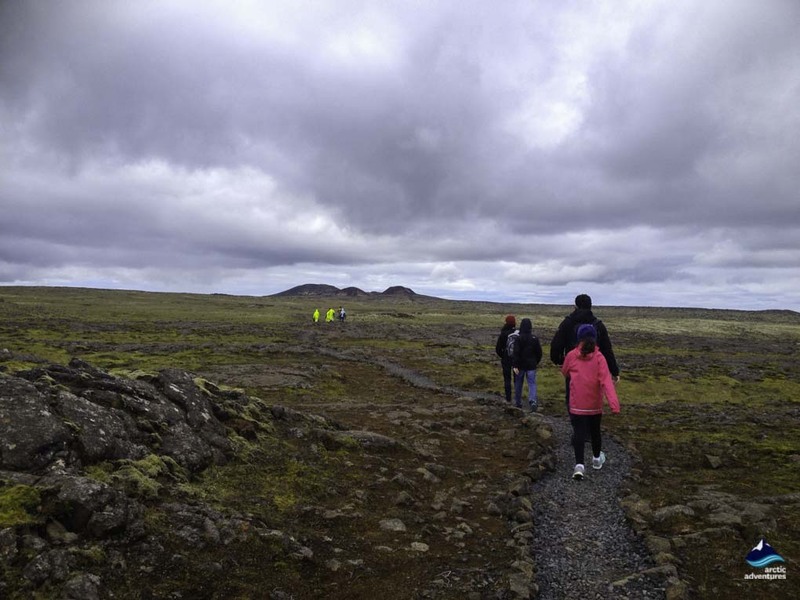 From the parking lot, it takes less than one hour to walk on the vast lava field before you reach the Blafjoll welcome cabin. During the short hike, you will cross a terrain of gnarled basalts and green moss field. The hike is rated as moderate in difficulty. Although the trail is not entirely uphill, the participants need to be in good physical shape to manage the hiking or climbing part of the tour before you go into the volcano. 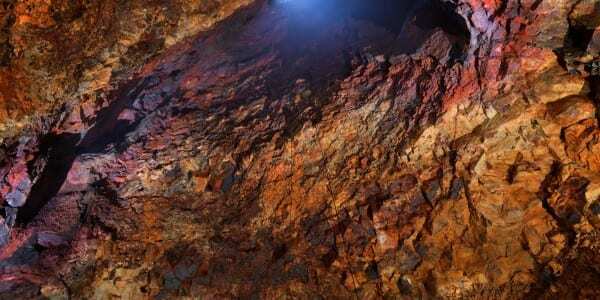 Discovered in 1974 by cave explorer Arni B. Stefannson who also gave the name “Thrihnukagigur”, the tremendous magma chamber bewildered many volcanologists and scientists when the discovery made world news. It created a degree of sensation amongst the volcanological society as they were trying very hard to figure out the actual reason for this unusual phenomenon. Because usually after a volcano erupts, the remaining lava inside its magma chamber cools off and becomes solid rock. By this, the crater is usually closed. If there are no molten or solid rocks left in the magma chamber, the crater usually collapses on itself. But for Thrihnukagigur volcano, something exceptional happened in its last violent eruption that it somehow left a gargantuan, empty magma chamber without any cooled lava left inside. 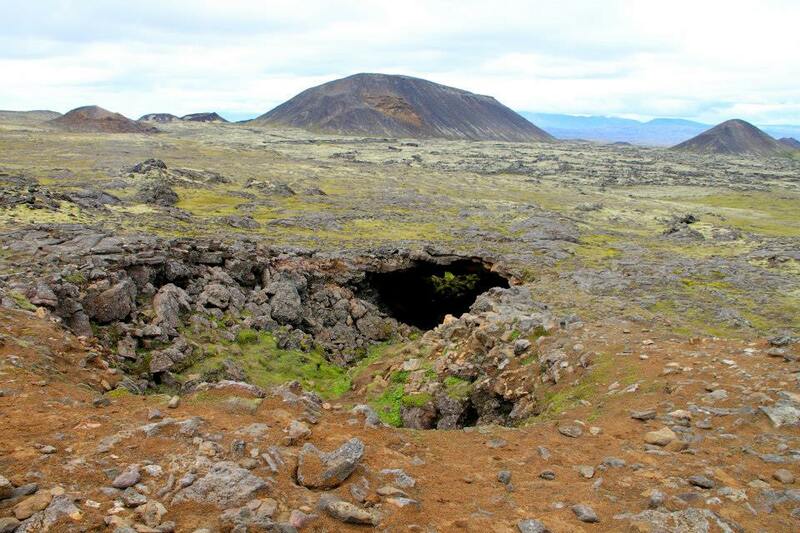 Some scientists assumed the lava has been drained through tunnels and arteries deeper in the earth. As the vast geological pressure released through the rift beneath, Thrihnukagigur was able to be intact with a magma chamber and the entire mountain – a “pristine collapse” as Stefannson once put. The volcano was not open to the public for several decades after its discovery. 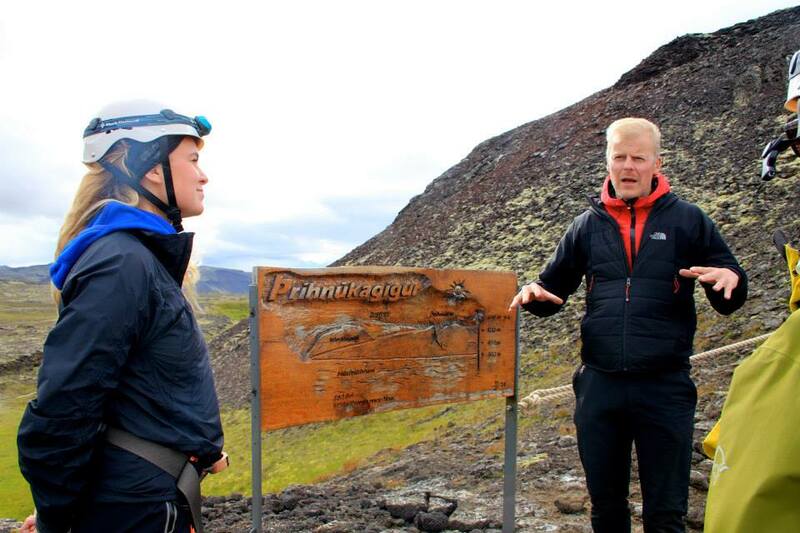 Finally in 2012, after years of pleading from Stefannson for making the site accessible for visitors, Thrihnukagigur was open for tourism and it immediately became a popular attraction. It’s been 4,000 years since Thrihnukagigur’s last eruption, and there are no indications of erupting in the near future. The silence inside the chamber once appalled the cave explorer because, in the beginning, without a better lighting it’s almost impossible to appreciate the natural treasure in pitch darkness. Now, with sufficient lighting and abundant time, the visitors can stay inside and be overwhelmed by the sense of wonderment created by the tranquillity of something so immense and once was in the hot spot of the unimaginable geological violence. You will tackle your fears and feel the utter smallness; you will feel humble and stare in awe. 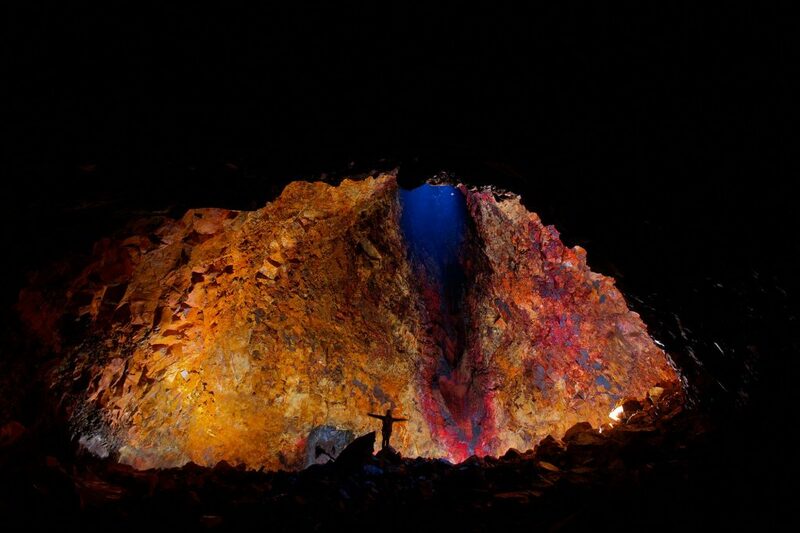 Once you’re inside the uncommon volcano, you see the mesmerizing colors exquisitely composited together on the walls. They are the minerals deposit left by the last eruption. The extreme beauty of such rare distinction attracted many scientists to come and seek life on the chamber walls because they believe it gives clues of how life survives in places like this, and if there is life existing in a place where there is no sun, then it’s possible to find life on another planet of the same condition. Thrihnukagigur is not just a path to the center of the earth, it might as well be a connecting point to an alien planet! It’s also an emotional experience when you stand under the rock dome that has been scalded and charred, torn and ruptured by the unstoppable violence of the earth. This subterranean arena was carved by the forceful gasses, the powerful pressures and the extreme temperatures that stained the walls the smearing patches of reds, blues, blacks, and yellows. Some of the beautiful colors you see on the walls are the mixed tones from red to yellow, some of them look like they were dyed by the colors from an artistry palette of blue and green mixed by a master. Apart from the enchanting colors, its immense size is also an amazing feature. One of the three peaks is a smaller cinder cone standing north-easterly about 35 meters (100 ft) higher than its surroundings. At the top of this cinder cone, you can see a funnel-shaped opening. It’s about 4 by 4 (12 by 12 ft) meters wide, and it’s the entrance to the huge, deep, bottle-shaped volcanic vault, which is 120 meters (400 ft) in depth. But the vault doesn’t end there. The volcanic passages continue to stretch deeper to the southwest and it eventually reaches a total depth of almost 200 meters (700 ft) down. To give you a better idea of how humongous the magma chamber is, we are going to compare its space with many famous landmarks from all over the world. The landmark church Hallgrimskirkja is the tallest structure in Reykjavik with a height of 74.5 meters (242.78 feet). It can be comfortably put into Thrihnukagigur’s magma chamber with some space surplus. Statue of Liberty, the sign of the American dream that’s beckoning on the edge of New York City is a colossal copper sculpture that has a height of 93 meters (305.08 feet) with the torch. This giant statue can be easily fit into the magma chamber, which can also swallow the Great Sphinx of Giza without any effort. The Morelia Cathedral in Mexico, the Motherland Calls statue in Russia, and the Christ the Redeemer statue in Brazil are all so easy to tackle for the humongous Thrihnukagingur. 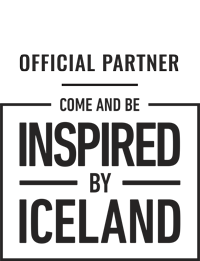 And its ground space is equivalent to nearly three full-sized basketball courts put next to each other. That’s why CNN rated Thrihnukagingur as one of the 31 must-see attractions on planet earth. 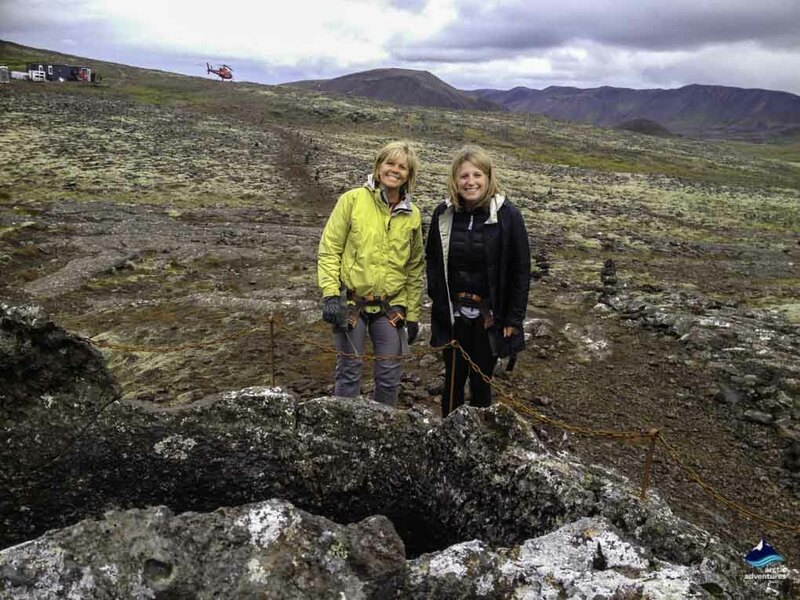 In August 2015, Kaleo, an Icelandic blues/rock band, recorded a live rendition of their song “Way Down We Go” inside the massive magma chamber accompanied by 14 support staff members. Later in 2016, the volcano’s glamour attracted an alternative rock musician Chino Moreno of Deftones to perform his first ever public concert inside the volcano at the Secret Solstice Music Festival. The visit is a literal interpretation of going inside a volcano as we have elaborated above about how rare it is to have an empty also visitable magma chamber on planet Earth. 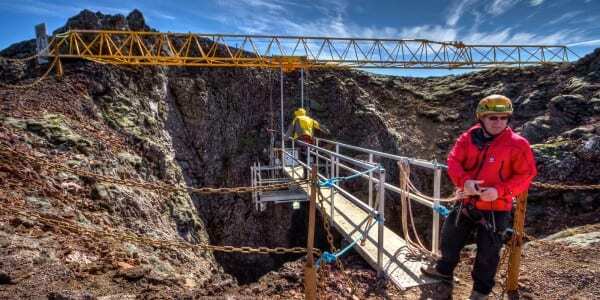 Upon reaching the crater’s opening, you will be sized for harnesses and helmets because you are about to be lowered down into the chamber by a very innovative method – an open elevator system! The 120-meter (400 feet) journey to the center of the earth takes about 6 minutes during which you will be on a steady and sensational ride as you get close to the amazing scenery. Once you are leveled down to the ground, you will spend about half an hour inside the volcano, and your expert guide will be telling amazing facts and anecdotes, during which you can take as many photos as you like. 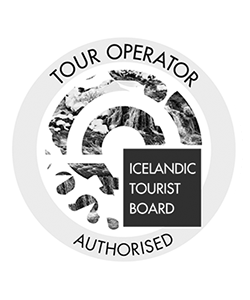 The tour is rated as one of the top 5 volcano experiences in Iceland. But please note that it’s prohibited to take any stones away from the volcano. It’s important to protect the sensitive environment. And the tour is only operated from May to October. There are plenty of accommodation options within an 8-kilometer or a 5-mile radius of Thrihnukagigur or the Blue Mountain area. If you want to stay in the Capital Region, any hotel located in this area will be within a 20-kilometer radius (12.4 miles) from the volcano, and it’s still a decent distance if you have a rental car. 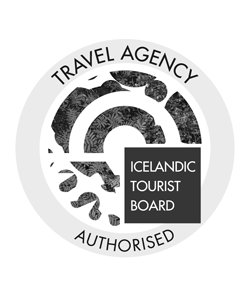 Thrihnukagigur is located neatly close to the Capital Region of Iceland, therefore all the interesting places and fabulous attractions found in the major municipalities are reachable effortlessly. 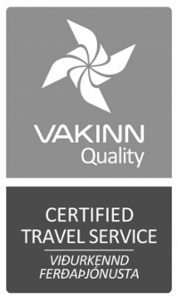 The closest city center is Hafnarfjörður, a vibrant harbor town with colorful houses and a beautiful lake in the center. There you can wonder the streets and alleys looking for museums, stylish antiques, trendy coffeehouses and charming botanic gardens. Horseback riding is also very popular. Further North upon reaching Reykjavik, you will pass two residential towns Gardabaer and Kopavogur where you can find nice golf courses. 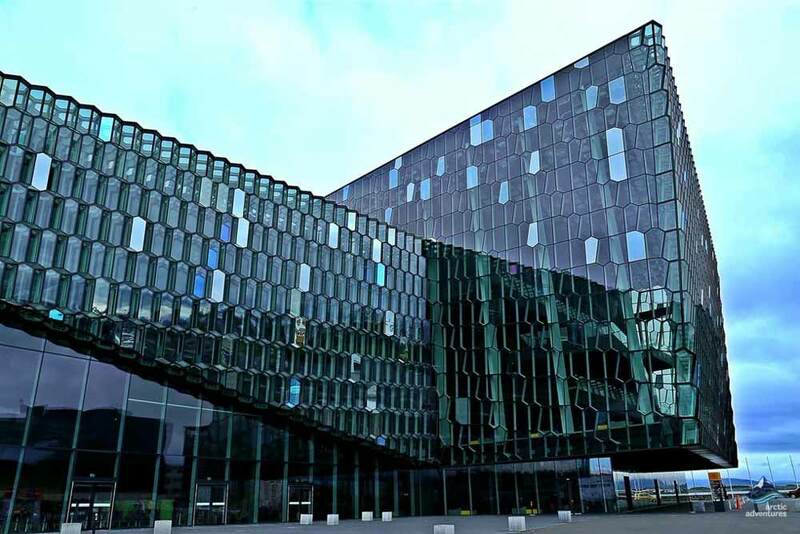 Finally, in Reykjavik, where the amazing vibe of metropolis constantly attracts international travelers, you will find fabulous landmarks such as Hallgrimskirkja church and Harpa Concert Hall. The Blue Mountain area, where Thrihnukagigur is located, is also a popular ski resort in Iceland known for its incredible landscapes and spectacular views. You can rent the skiing gears from there when it’s open. 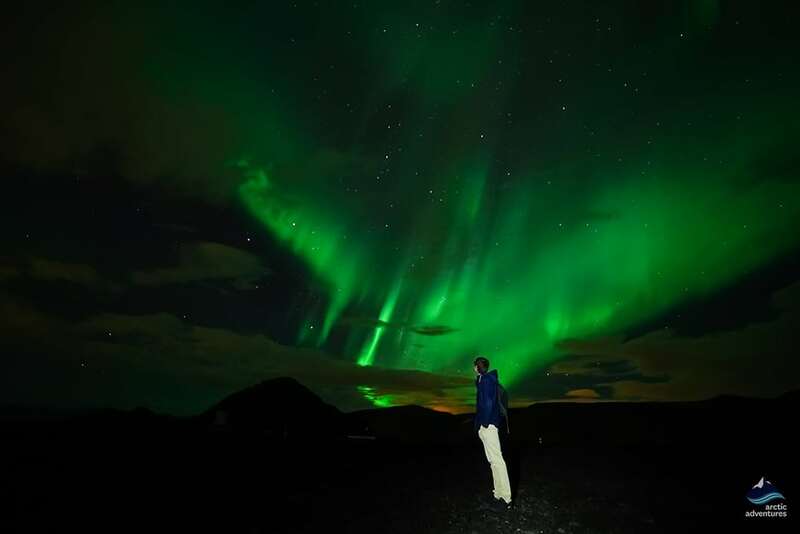 The area is also a popular location of Northern Lights hunting tours since it’s far away from the city light pollution and bestowed with the unobstructed views of the sky. 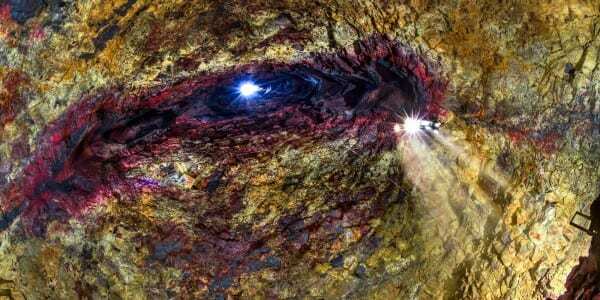 Want to know what a Volcano looks like from the inside? 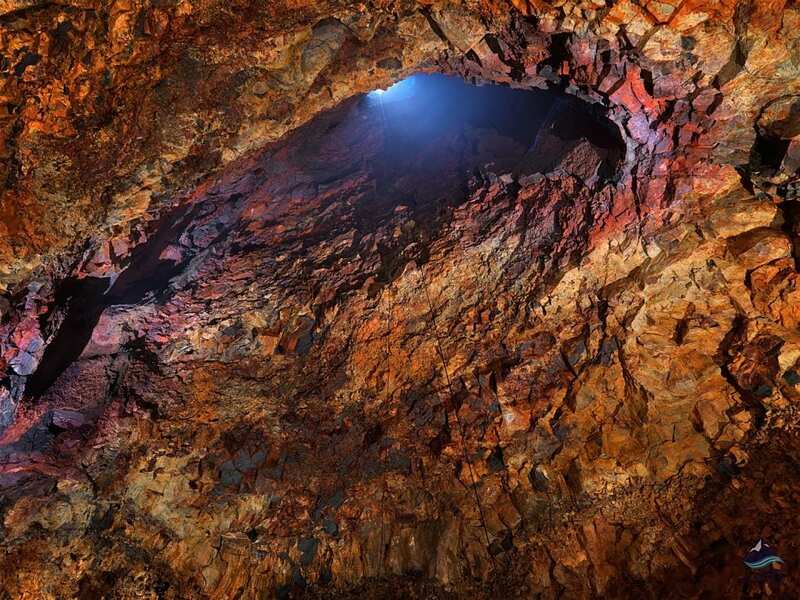 Then go on a journey to the center of the earth, on this half-day lava caving trip inside Thrihnukagigur crater, a truly unique experience!